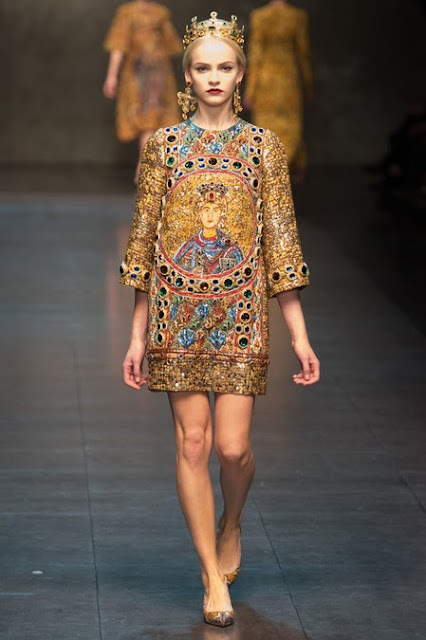 One of my favorite collections for Fall 2013 is Dolce & Gabbana's Byzantine inspired grouping. Are you as enchanted by it as I am? 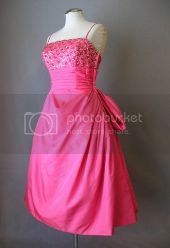 If so, I want you to take a look at a dress I added to the Couture Allure site yesterday. This 1960s dress by Michael Novarese is made of a lightweight wool challis in a bold pattern that has been completely covered in beads and sequins. 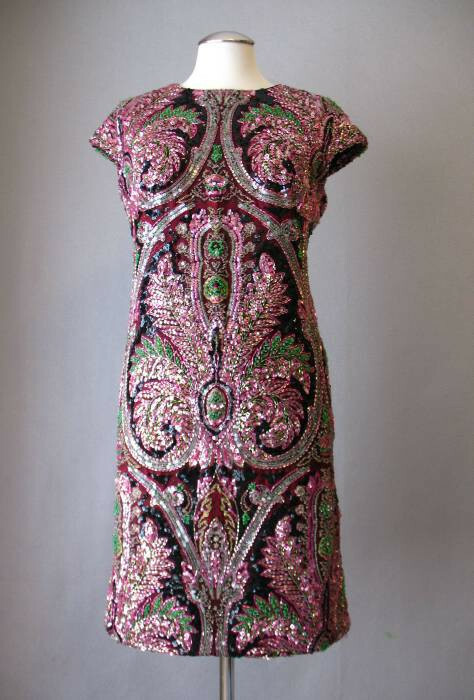 The dress sparkles and the light glints off of every inch of the beading. The dress is an incredible work of couture art. 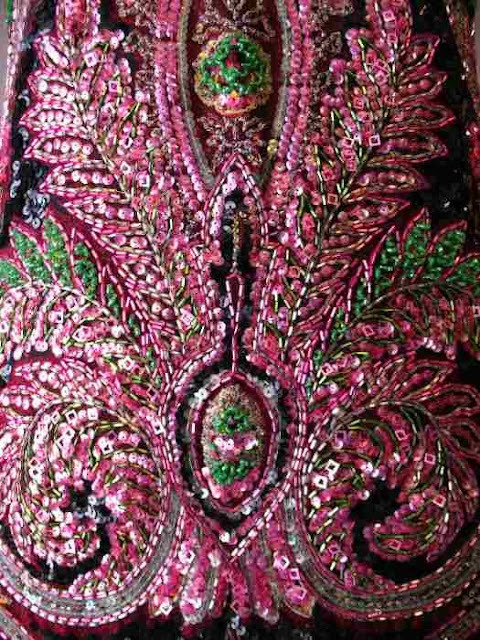 Do you see the square shaped sequins that give the beading even more dimension? As always, this is authentic vintage and there is only one. 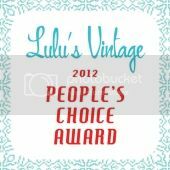 If you love it, don't hesitate!